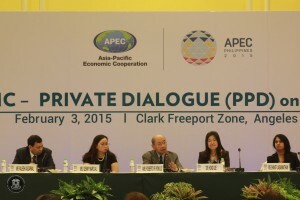 Prof. Xue, Director of IIPL, as the PECC delegate, joined the APEC 2015 Senior Official Meetings (SOMs) in Clark and Subic, Philippines on February 1-5, 2015. Prof. Xue gave a keynote presentation at the PECC Public-Private Dialogue on Services held concurrent with the SOMs on “E-Commerce Platforms Legal Liability in service industry”. The presentation was eye-opening to the officials of APEC economies and widely cited all through the conference. It’s believed that the presentation also stimulated the APEC Internet Economy project and relevant study in the ambit of PECC. 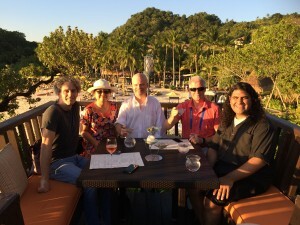 Prof. Xue was invited again to join the APEC SOM held in May in Boracay, Philippines. On May 18, Prof. Xue acted as the moderator at the PECC Symposium on Internet Economy and helped to draft the PECC research proposal on this topic. The research has been going on smoothly since then.